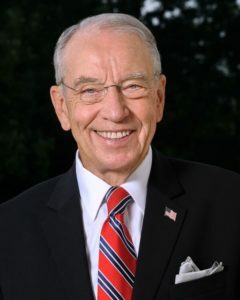 Iowa Senator Chuck Grassley says President Trump missed multiple opportunities during the just-concluded talks with Russia to hold that nation responsible for attacks on our democracy. Last Friday, the U.S. Justice Department indicted a dozen Russian agents for taking part in an alleged hacking scheme during the election. Grassley says Trump should have used the talks to ask for the transfer of those “criminals” so they can be brought to the U.S. to stand trial. Grassley says Trump should have challenged Putin and simply didn’t, a move that’s bringing harsh criticism of Trump from members of both parties.